Well, for one thing, we’re not shopping for boats with Steven Spielberg. Let me note that while I don’t normally care what the rich and famous do, today I’m a tad jealous. OK, more than a tad. I like boats. And motorcycles. Could care less about cars or houses. I’d like to have a sailboat big enough to sail around the world. Comfortably. I’ll never have have one. I’m over it. 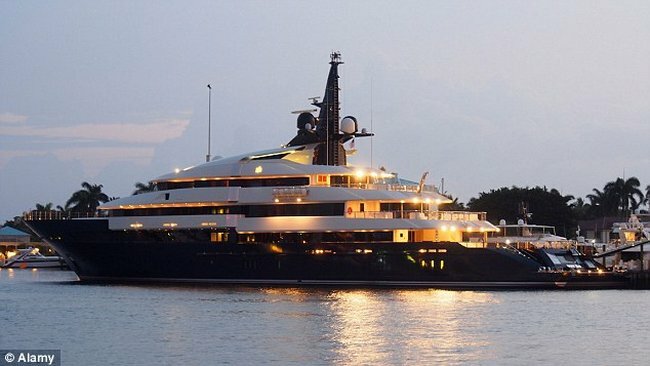 Steven Spielberg, on the other hand, likes big boats with motors that destroy the environment. I have no problem with Mr. Spielberg buying any darn thing he wants, he earned every nickel he’s got. And he wants a new boat. This is his old boat. It’s 282 feet long and was custom built for him. It cost $185 million. Just a little more than my wonderful wife’s car. Not because of the shark, his 282 footer could probably fend off Jaws, but because he wants one. He’s dropping a tad over $200 million on his new boat, it’ll be 300 feet long. Haven’t seen any pictures of it, but it will be nice. No sails, but nice nonetheless. Spielberg and his family actually use their boat for more than parties. In 2013, the director, his wife Kate Capshaw, 61, and their seven children took the yacht on a 30,000-mile round-the-world cruise, stopping at some of his most notable film locations. They included Shanghai where he shot Empire Of The Sun and Hawaii where he made Jurassic Park. Like I said, I’m jealous. If you’d like to take his current little boat for a spin, it’s for rent. You can rent it for a mere $1.25 million. You get it for a week. We’re cutting back on eating out and I’m not buying new clothes for the winter this year. Greatest Soundtrack Of All Time?